Many of the Steps to Creating an Energy Efficient Home Overlap with Reducing Irritants! It’s only natural if you think about it. For example, improving your home’s seal points obviously makes your home more efficient because cooling and heating are kept inside. This means your HVAC system works less and consumes less energy. At the same time, the same places that air can escape are openings that allergens and irritants use to infiltrate your home. So, when you improve your home’s energy efficiency, you also reduce the number of irritants your respiratory system is exposed to. At AZ Energy Efficient Home, we offer Healthy Home Evaluations. That’s because we have a passion for improving the lives of our customers. Your home’s climate is not limited to temperature. It’s your entire environment. That’s why we send a Healthy Home Consultant (HHC) to inspect your home. Based on your home’s unique profile and needs, we’ll guide you in what steps you can make to further improve the air quality in your house to help you breathe easier. 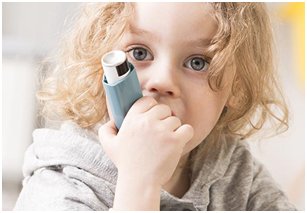 If your allergies or asthma are continuing to bug you at home, you need to contact us today. Don’t suffer unnecessarily in the place that should be where you rest and recover from the world. Let us improve the quality of your air, and life, today.